One of my staffs, Kim had been confirmed yesterday. So we brought him to Queensbay Mall for celebration. 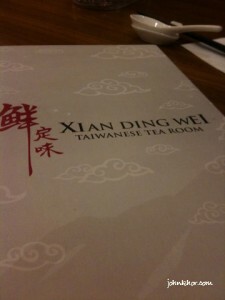 After browsing a few restaurants, we finally selected Xian Ding Wei 鲜定味, a Taiwanese restaurant. 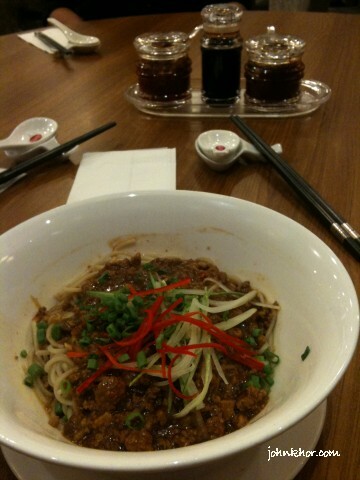 I really loved Taiwanese foods. 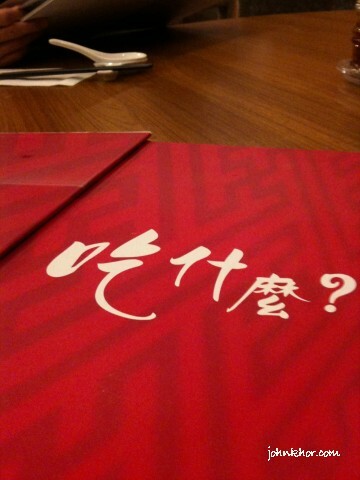 The impression of the restaurant was very good. Nice interior design with white and purple. My girlfriend’s favorite colours. It’s worth paying extra for such environment! I like clean and classy designs. What to eat? That’s what I am always headache about. It’s the small gestures that differentiate a good restaurant and a GREAT restaurant. 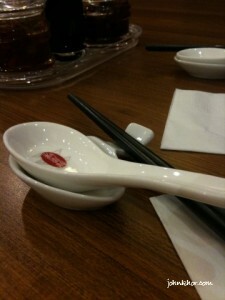 The service was prompt and within 15 minutes, our foods were being served. I ordered Sweet & Sour Pork & Authentic Pearl Bubble Milk Tea. Sweet & Sour Pork Set. Taste is normal only. My girlfriend ordered a Taiwanese noodle set. I had forgotten its name. Quite nice. Too simple and quite not worth the price. Kim ordered 9 Taels Chicken Set & one ice-blended chocalate drink. I forgot the name of the drink already. 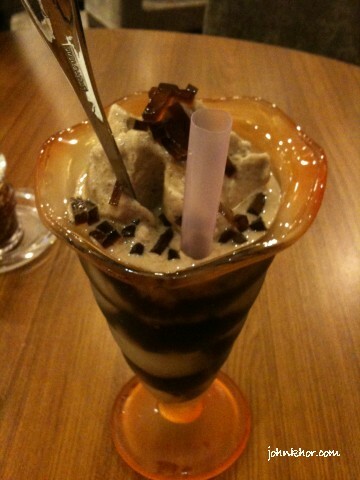 The chocolate drink is a bit sweet. 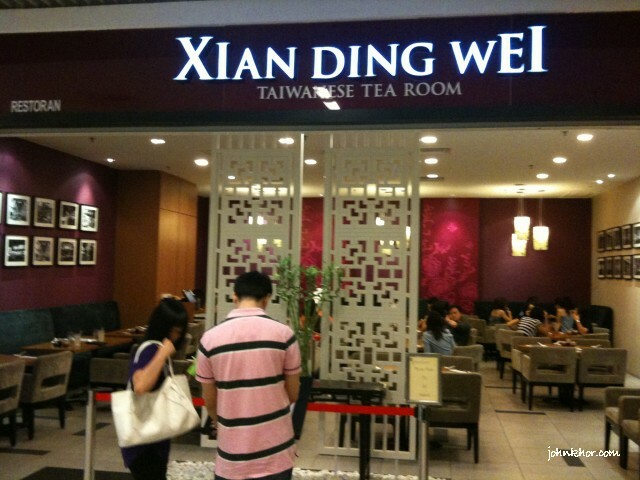 Kim liked the sauces of Xian Ding Wei. He said they were very nice. 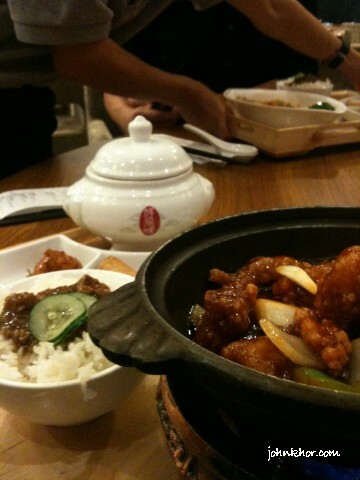 9 Taels Chicken Set. The taste is good according to Kim. A bit too sweet according to Kim but overall quite nice. Remember to drink it from time to time, if not the drink will spill over because one side of the cup is a bit lower. The braised pork rice is very nice and this reminds me of Taiwan rice. 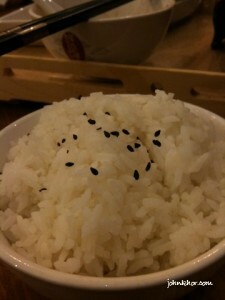 When I was at Taiwan, I fell in love with their white rice. Very tasty and addictive. I practically can eat the rice alone with some gravy and without other dishes. So, I ordered another white rice at Xian Ding Wei Queensbay Mall. Very special. These are the small small things that win customers’ hearts. 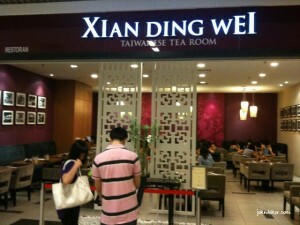 The service was good cause when Kim’s chocolate drink spilt over, one of the waiteress quickly put a tissue under it. Nice impression. 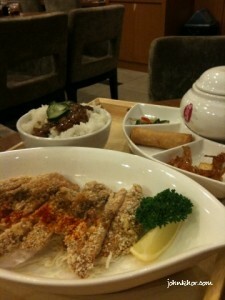 Overall, I am very happy to have more Taiwanese restaurant in Penang. Usually I always frequent Kochabi Taiwanese Restaurant near Burmah Road. Now, I think I will come to Xian Ding Wei more often because of the atmosphere, service and also the attention that they pay to decorate their foods. 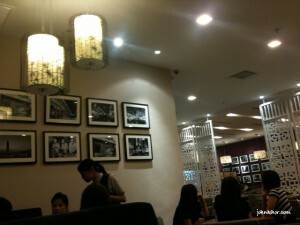 * All photos are taken with my girlfriend’s iPhone 3GS.